I finally checked out the Bay on Queen Street yesterday. Haven’t been in this place for maybe a decade? Wow, that’s a long time! I remember when I was a kid and crossing that Eaton Centre tunnel to enter the bay and go through all the cool stuff I can’t afford. I remember going there 5-6 times just to buy a pair of Hush Puppies. Always I was finally there again, was told they are trying to move upscale. They picked up some high end brands like Desigual, great detailing! Other stuff was pretty much expected. 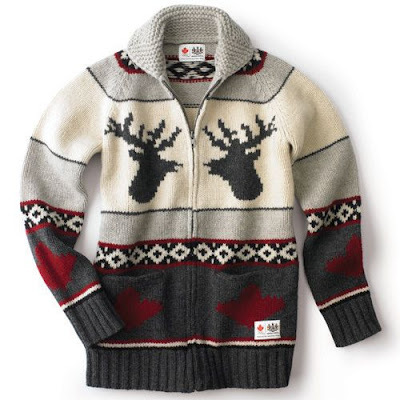 What caught my attention was the Canadian Olympic collection from HBC. From the commercials I thought the design of the shirts were kind of neat but thought that the collection wouldn’t be good, you know, it is the Bay after all. Their reputation for picking up good brands aren’t that good. And their reputation for design is non existent. But have to say I really like the collection, well half of it anyways. I was surprised that they did all these pieces without “Canada” or “Olympics” splattered all over it. I mean I’m sure they paid quite a penny for the rights. But they have these nice parkas with just a tiny patch on it. 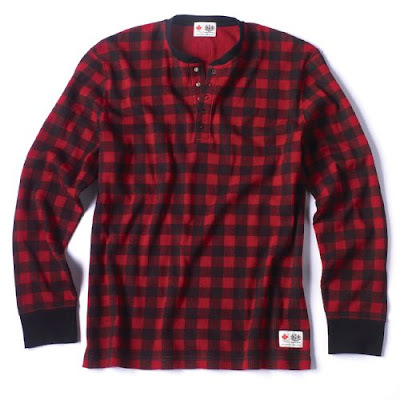 As well they got these nice classic knitted sweaters as well as flannel shirts. From the look of it it doesn’t have anything to do with the Olympics then you realize that these are classic Candiana designs. Kudos to them. But of course they have to have these stupid tees with Canuk all over it. Unlike the other items I will not be linking to it because you shouldn’t be buying it!! Want more Canada stuff in time for the Olympics? Check out the Canada Basketball shirts I designed. Proceeds goes to our athletes.